The demo version for Trine has just hit the interwebs weighing in at around 500MB. 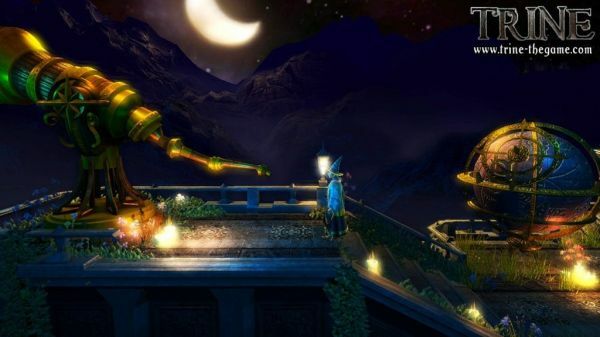 Trine, as you might remember, is a three player local co-op puzzle platformer. Players are put in the role of one of three characters, each with unique abilities to solve environmental puzzles and move on through the levels. The PC version of the game has been picked up by publisher Southpeak Interactive, and is set to for a release later this summer. There seems to be separate publishers for each version of the game, as a PlayStation Network version is coming soon as well published by Nobilis Games and there's been rumors of an Xbox Live Arcade version published by Atlus. Currently Trine only supports local cooperative play, but we've had it on good word they'd like to get online added in sometime after release. Page created in 0.2689 seconds.